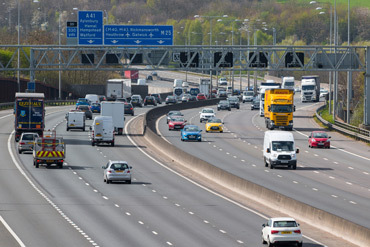 Love them or hate them, if you’re a driver in the UK then there’s a good chance you’ve had the pleasure (or pain) of driving on one of the many motorways that connect the towns and cities of the British Isles. For some, using them is a necessity and a daily occurrence, for others it’s a much more sporadic affair. But what do people really think about them? Overall, the feedback was positive for most of the country’s motorways. The outright winner from our list was the A66 located in the north of England – a 115-mile road that spans the width of the country, from Penrith to Scotch Corner. Those that voted positively for it did so because it is a well-lit, quiet and debris free motorway with plenty of good quality service stations. 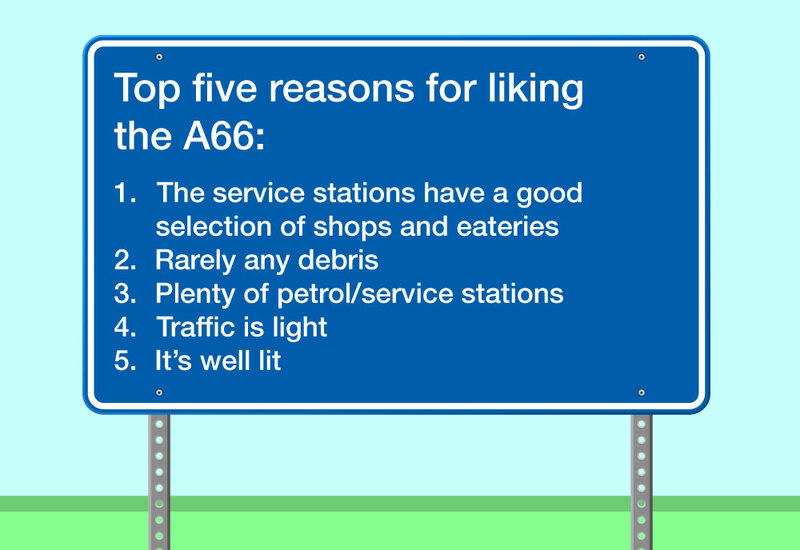 Maybe surprisingly, despite passing the Pennines, the Yorkshire Dales and running through the Lake District, picturesque views were the least common reason for the positive feedback, suggesting that service is more important than scenery. Second place was awarded to the M40, an 89-mile trunk road that connects London with Birmingham. Again, a lack of debris helped earn its positive rating, as did the frequency of the service stations. Many of the road’s proponents mentioned that it rarely has roadworks, which may help contribute to its relatively light amount of traffic. 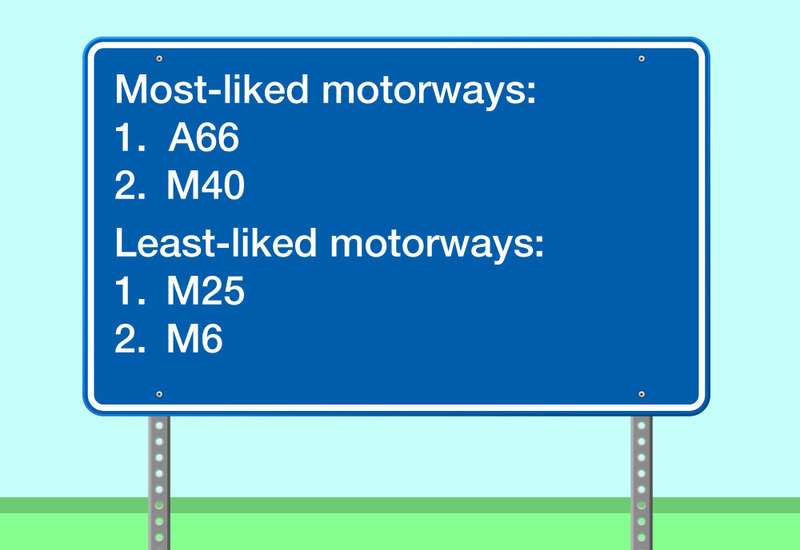 Looking at the motorways that received the most negative feedback, the M25 took the top spot in this category (which may not surprise those who have ever used it). This 117-mile-long, mother of all ring roads, is amongst the country’s busiest motorways, and an unavoidable road if you want to get into or around the capital without taking a major detour. Being such a busy road, it’s little wonder that the responses we received were predominantly negative. The main reason given was a lack of speed cameras, failing to catch out other drivers who break the speed limit. It’s surprising really, given the volume of cars constantly using it; more cameras could generate a pretty penny in no time at all. 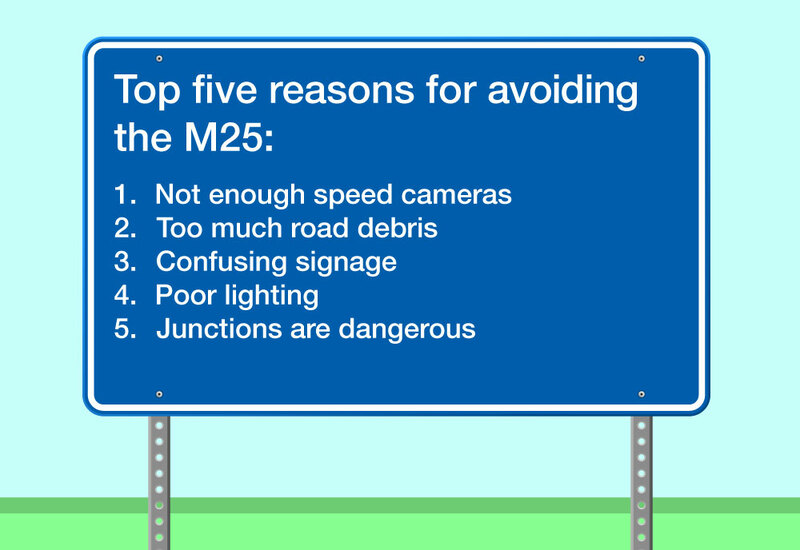 Poor lighting and dangerous junctions were also amongst the top reasons people disliked the M25. 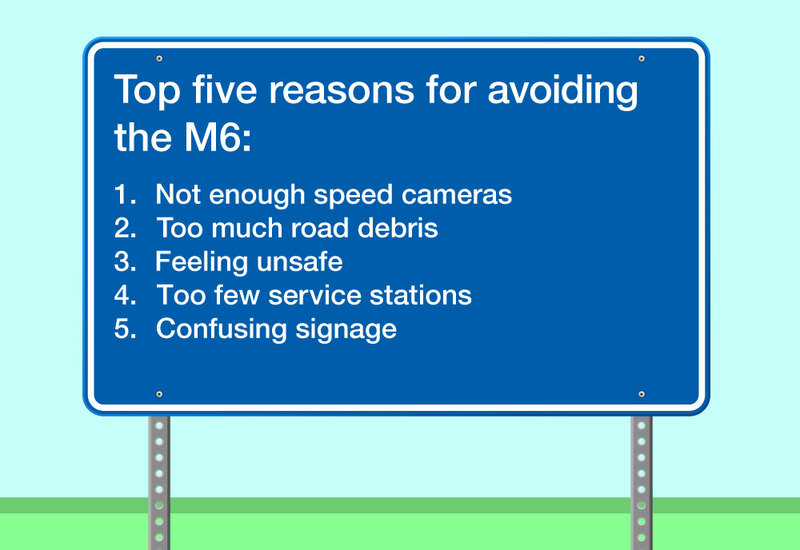 The M6 was our second least liked motorway. It’s the UK’s longest, and easily one of the busiest. Safety was one of the chief concerns, coming in third place as the reason people avoid driving on it. Other responses included confusing signage, too much debris in the road and another mention of too few speed cameras. Nearly a fifth (17%) of drivers surveyed said they never use the motorway. Of those respondents, safety issues were the main issue preventing them from doing so, with 34% saying they avoided the motorway because they didn’t feel safe driving on it. Those most likely to cite safety concerns are 26 to 35-year olds at 41%, followed closely by 60+ (36%) and then 17 to 25-year olds (32%). This suggests that safety concerns affect both drivers who may have a limited amount of driving experience, as well as those who may have plenty but perhaps have had a negative experience using motorways in the past. With learner drivers now being granted the ability to practice on motorways before they pass their test, we may see these numbers in the younger age brackets fall in the future. 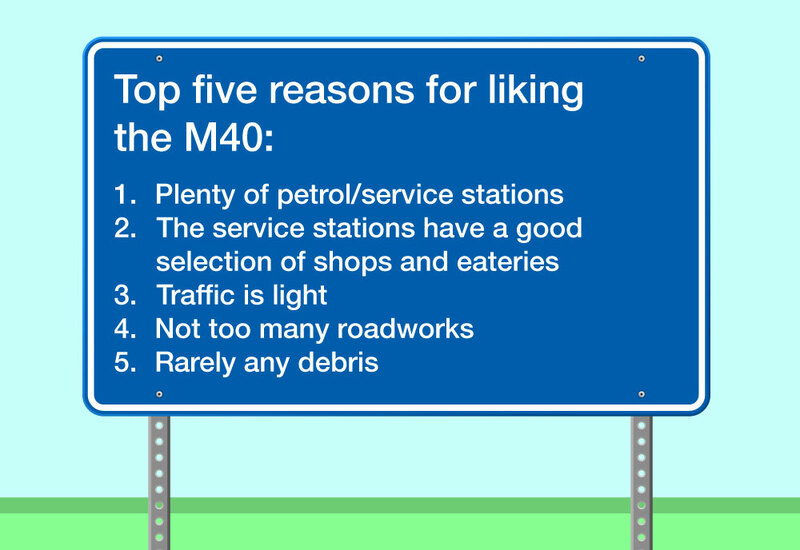 Do you have a favourite motorway? Or may there’s a road out there that you just can’t stand. Let us know your thoughts over on Twitter @InsuretheGap.